These days, to market yourself successfully as a singer you need a website. More than the pin-board (or what have you) on which to advertise, you need things to pin up. Here are some ideas for what you might try to put up on your website (or the social media sites that you use to connect with people). Some may seem very familiar but you may surprise yourself by what you can have missed. There are a number of ways in which you need to attend to what you write about yourself and your work though. Just like a CV there are different things to cover: introducing yourself; listing what you have done; talking about your capabilities, interests and availability. Perhaps you might want to write a news feed or a blog – just like the column on which you are reading this post. This may demonstrate the way in which you think professionally, or even show that you bring more to (say) an opera role than your vocal technique. All the time remember that your writing style, not to mention accuracy – spelling, grammar, correct spelling of names and use of diacriticals (accents) – give an indication of your attention to detail. Or simply just how much you care. Make sure reviews & quotes are accurate and properly attributed. Wherever possible link to the original online piece from which a quote is taken. Firstly, a good, clear, high resolution headshot is important as a focus point for advertising and also for programmes if you are employed as a soloist. Make sure your headshot is reasonably current (e.g. don’t use a picture with a beard if you’ve shaved that off) and that it reflects who you are. Try not to make it fussy – it will become either distracting or may be inappropriate for some gigs. You can spend as much money as you like on lovely studio headshots (hey, you’re worth it) but remember, the audience come to hear you sing – and more importantly, those who might employ you are principally interested in how you sound. These days its fairly straightforward to buy a voice recorder and set it up discreetly at the back of a performing space. Still, you might want to get a professional recording done. Whether it’s in a studio or in a performance space, make sure the acoustic is fairly clear. We were at a singers’ forum in 2012 where an agent despaired at websites with galleries with dozens of photos but not a single audio clip to listen to. Don’t neglect this. Once you’ve got your clip you can either upload it to your website or to a third-platform like Soundcloud, from where you can pop it on your website with player controls. Video is ubiquitous nowadays. Good video camcorders can cost less than a voice recorder. Even HD video can be recorded on a smartphone and (roughly) edited on an app. The audio feed on smartphones and video cameras tends to be less good but the opportunity for a client or an audience to see you doing what you do is valuable. As for your audio clip, when you have a video you can either upload it directly to your website or host it on a sharing site like YouTube. From there’s it’s straightforward to embed the video with a player on your website. Check your links. Just as you keep your CV up-to-date make sure that links have not become obsolete over time. Permissions. 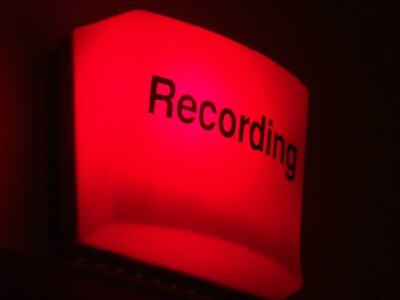 Credit third parties who take photos or record audio or video for you. Always make sure that the pianist/orchestra/conductor with whom you are working is alright with you recording something for personal promotion before you even set up the devices. Don’t use rubbish media (poor quality recording or you singing flat) simply as it’s all you have. It’s difficult unprofessional to selfie (yes, I’m using that as a verb!) at work. If you’ve got a supportive friend who wants to hear you, get them a comp and ask them to press ‘record’ before you perform or take a photo afterwards. People continue to be protective of being recorded. However, as it is almost impossible to control the capturing of audio-visual media as almost everyone has a means to do so, it is best to embrace the situation. Organising media for your website is mostly about taking the initiative about how you are perceived: it’s difficult to contradict someone saying that you’re known for, say, being a baritone in a bear suit if that’s the only picture of you available online, which someone else took and distributed, tagged with your name. If you’ve got context for that photo on your own site, as well as other more conventional pictures or videos then the public will be able to see how mono-dimensional unique images or recordings are – and come to your site first in future. Making media is essential to selling yourself as a singer – and in this glass-half-full world of possibility for doing it you should think about it as part of your professional preparation.